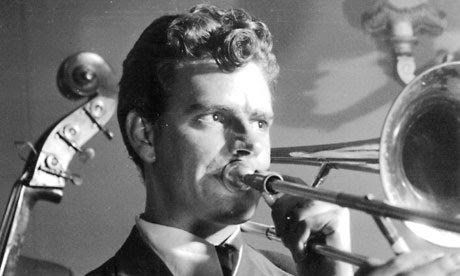 In honour of Eddie Harvey's enormous contribution to Jazz in the UK, an award has been set up which reflects his view that jazz composers and arrangers should receive due acknowledgement of their work and position in the jazz community. The £2,000 prize will be awarded to the winner at a premiere of the new work. Submissions will be judged through a 'blinding listening' process and the identities will remain hidden to the judging panel until after a decision has been made. Submissions can be either arrangements of existing works or newly written material and can be scored for any orchestration or line-up including orthodox big band, small ensemble or any other combination. To write more about Eddie Harvey, see this Guardian obituary.